Hardscape fire features are a great opportunity to make a statement. These visual accents are highly customizable and can be designed to match your style. It will not only captivate friends and family but allow you to relax outside during the cooler months. With so many options, it may be difficult to find the right prefabricated fire feature. Instead of spending hours perusing through catalogs and feeling unsatisfied, homeowners can work with a full-service exterior designer, such as FloridaScapes, to customize the perfect installation for their outdoor living space. 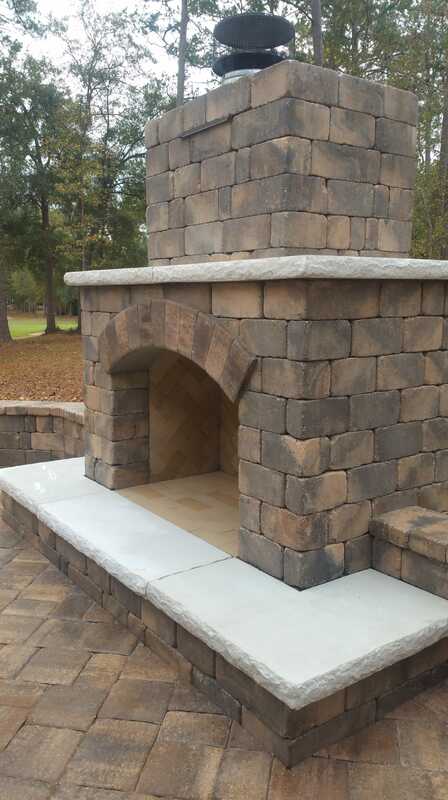 Hardscape fire features are where style meets functionality. Homeowners can simply enjoy the beauty of the modern design or use their fire features for warmth. Fire features act as a statement piece and can further accentuate a backyard when paired with a patio design. The two elements play off of each other and create a truly beautiful outdoor living space for all to enjoy. Outdoor fire features act as a focal point where people can gather and mingle. The captivating flames draw the eye of all guests, sparking meaningful conversation and lending a warm, relaxed ambiance to the evening. 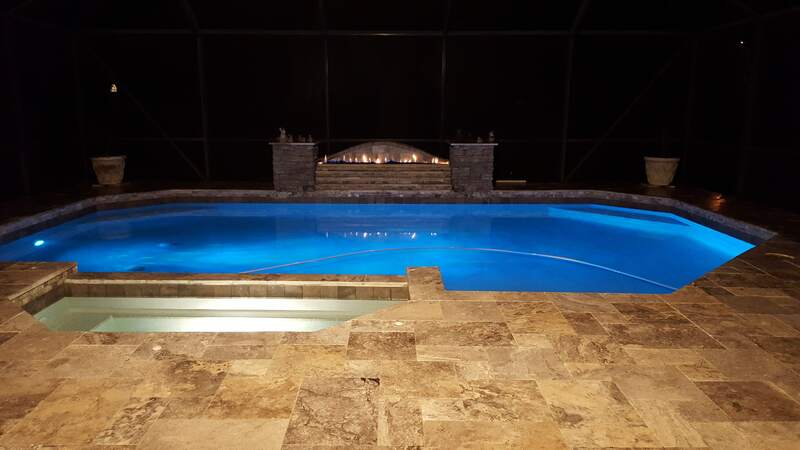 By investing in a fire feature, homeowners can prolong the enjoyment of their backyard throughout the year, even during the chilliest of nights. While fire features are typically used during special events, like hosting, families can utilize them year round and create unforgettable moments. 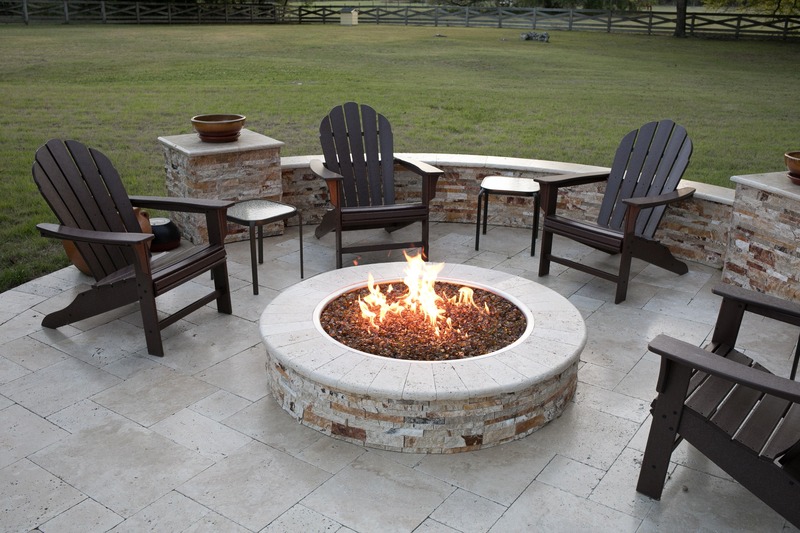 The hardscape professionals at FloridaScapes have over 20 years of experience and will work with you to customize a quality fire feature. You can trust our high safety standards to handle the combustion and build a beautiful fire feature that will not warp from the heat. We will get to know you, your style, and work with you to create the perfect fire feature that you and your family will make endless memories with. "Everything went well, their crew is amazing and did an excellent job. It is absolutely beautiful and we couldn't be happier." Jim S.